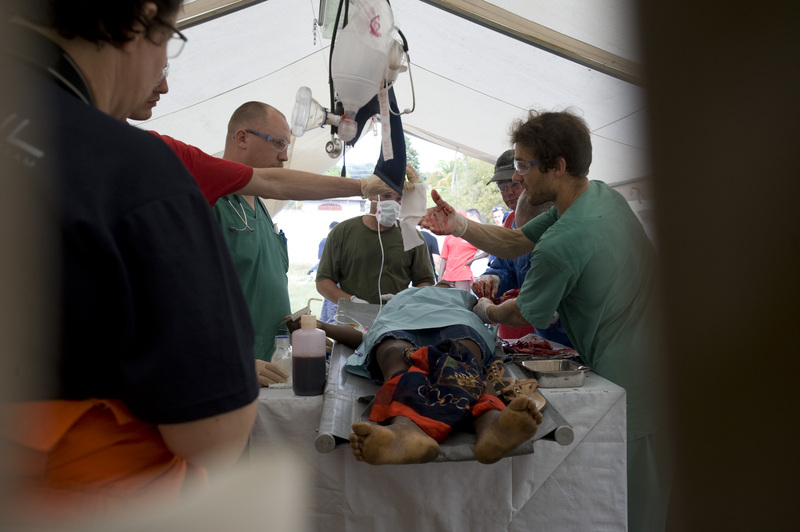 B-FAST’s field hospital module is also well-known to the wider public. Every Belgian will remember the images of the devastating earthquake in Haiti in January 2010, and how Belgian doctors and nurses provided emergency care to the inhabitants of this Caribbean island. The field hospital module is above all a medical team, made up of specialized doctors (emergency medicine, surgery, pediatry, gynaecology, a.o.) and nurses. These volunteers are provided for by the partner department FPS Public Heatlh. Furthermore, the module includes tents for the surgery, the clinic (primary and emergency care), for the aftercare and for logistic purposes. 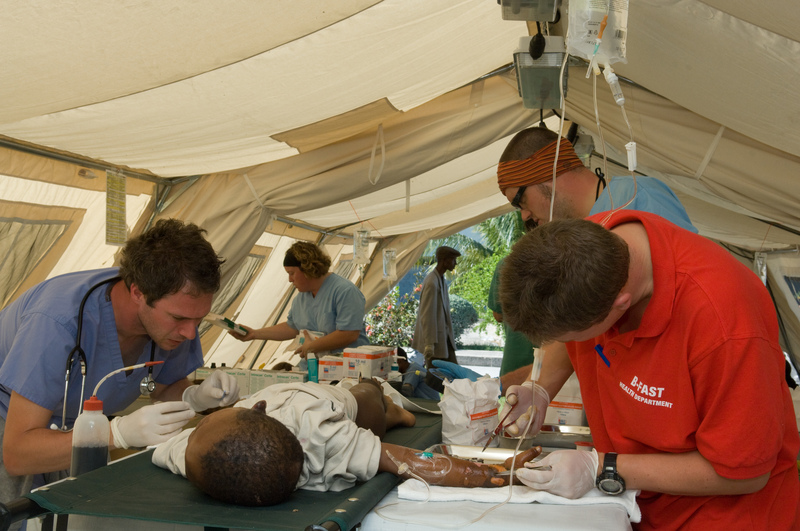 The field hospital module of B-FAST is in line with the EU regulations concerning the organisation of humanitarian emergency actions, which in its turn refers to the international guidelines of the World Health Organisation (WHO), a specialized agency of the United Nations system, as well as with the guidelines of the International Red Cross Federation.